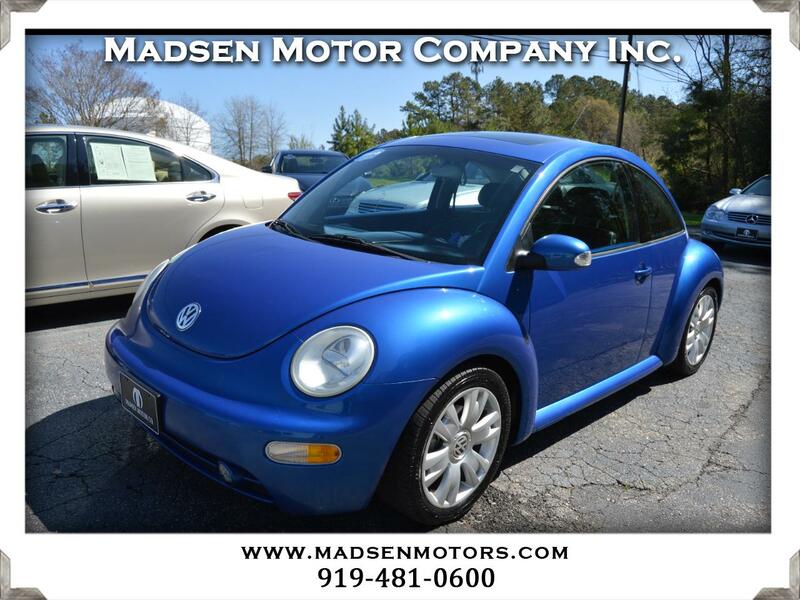 Used 2003 Volkswagen New Beetle GLS 1.8L for Sale in Raleigh, Durham, Cary NC 27511 Madsen Motor Company Inc. Here's a clean 2003 Volkswagen Beetle GLS 1.8 Turbo with the Color Concept Package in Blue Lagoon Metallic with Blue and Black Two-tone Sport Leather Seats. This car also comes with a Power Moonroof, Automatic Transmission, 17" Alloy Wheels, and Heated Front Seats. This is a car we know well, as it was in the Madsen Family Fleet from late 2012 until June 2015. It's safe and reliable transportation for not a lot of money!